Yahoo has been issued a subpoena in a New York state investigation into daily fantasy sports games, sources close to the case said Thursday. The latest action clouds Yahoo's fantasy sports operations amid a legal battle by the office of the state's attorney general to shut down two other services, DraftKings and FanDuel. 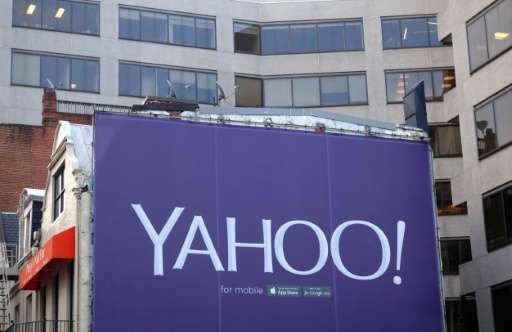 "We can confirm that a subpoena was issued to Yahoo last week," the source told AFP. Attorney general Eric Schneiderman's office is seeking details on Yahoo Sports Daily Fantasy, which operates in 43 US states. New York state officials are seeking separate court orders to shut down fantasy sports websites DraftKings and FanDuel, claiming they are in fact gambling operations illegal under state law. Yahoo said in a statement earlier this week it does not comment on legal matters but noted: "We are monitoring industry trends and events closely and believe that we offer a lawful product for our Daily Fantasy Sports users."